For those of you who never get aches and pains, you can move right on past this article (*cough* denial!). For everyone else (namely, EVERYONE! ), here are 9 simple DIY microwavable heat packs to help soothe those tired muscles and joints, itchy eyes, bruises, and migraines. You don’t have to be a skilled seamstress to make these simple rice packs. 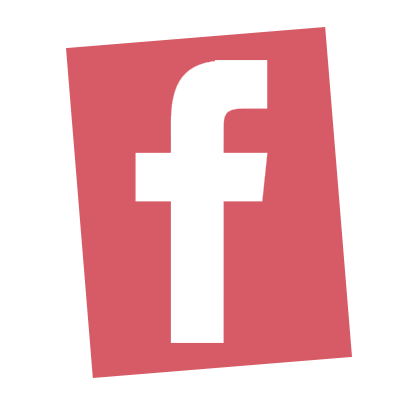 All you’ll need is a 9″ x 9″ square of fabric, a bag of rice (any kind will work), a funnel, and basic sewing supplies. But why rice? Because rice is malleable for your needs, it’s affordable, and because it can retain both hot and cold temperatures. Just pop these packs in either the microwave or the freezer and be well on your way to pain-free paradise. DIY can’t get much easier than this, so grab an old pair of socks and jump in with both feet! Simply take your tube sock or baby leg warmers, fill with rice, and tie off with baker’s twine. If you’re willing to spend an extra dollar or two, visit the Dollar Spot at Target and find a fun pair of character socks that your kids will especially like. Instructions found here. Okay, so this heat pack won’t take you on a train to Yuma, but with $3 and 10 minutes, you will be $3-10 to pain free! What a perfect heat pack for your aching shoulder and neck muscles. Satsuma Designs shares the DIY instructions here. 4. That Makes Perfect Scents! Why just do muscle therapy when you can do aroma therapy as well? Drop some Young Living essential oils on your rice before sealing your pad and your nose will join in on the rejoicing. What perfect neighbor gifts these would make in place of garbage-bound sweets! Visit Living Chic on the Cheap for more info. When your Little needs a hot pad, give her this adorable hoot pad instead. 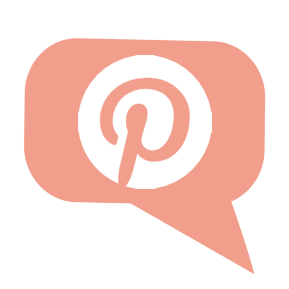 Check out Wallflower Kitchen for the DIY instructions. Cold hands on your way to work or school? Or even out for a day of skiing? 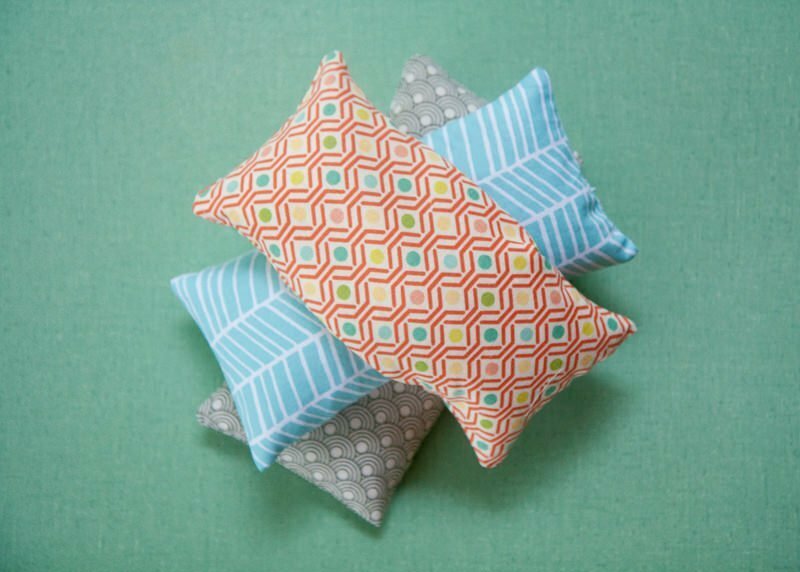 Take matters into your own hands with these oh-so-easy to make flannel hand warmers. These are another hot item to give as a gift! 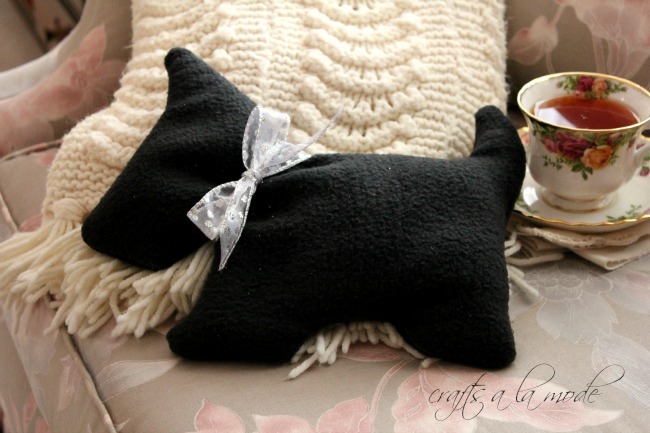 This little scottie dog hot pad will certainly be your loyal friend when it comes to soothing away your aches and pains! Go for a walk on over to Crafts A La Mode for the template and directions. Seriously… with some basic sewing skills and 10 pounds of rice, you’ll be right back at it with this colossal full back heat pad! 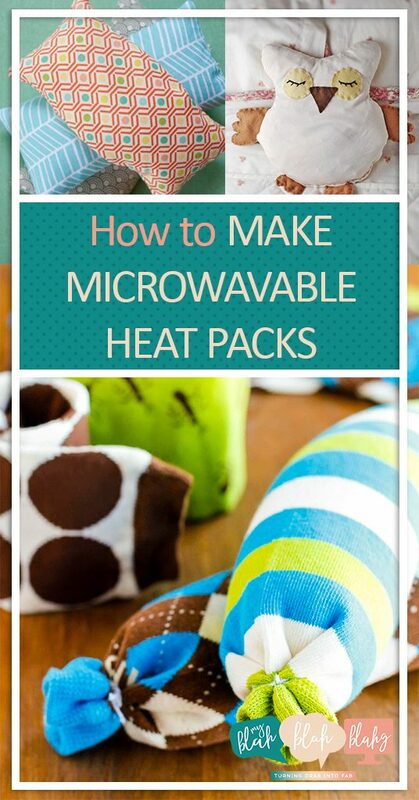 To heat it, just fold it and fit into your microwave for 5 or so minutes. Full DIY instructions from A Chick and Her Garden. 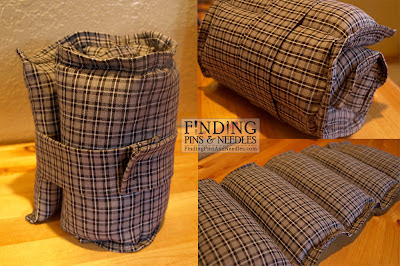 Finding Pins and Needles shares another full back heat pad tutorial. The velcro strap makes it easy to store, so after a good warming, both you and the hot pad will be ready to roll! Can I use dried beans instead of rice ? Thanks for the instructions on how to make the heat packs. I will be making some of these for Christmas gifts. Many in my family has back issues and needs heat pads often.